A Software Industry mainly works on Enterprise Applications. When Persistence Frameworks are being used in the application, then it is better to know about the Persistence Context and Object’s Life Cycle, inorder to deal with the complexities. Object Oriented Programming(OOP) plays a major central role for developing any application. It is a design concept. It can be imagined as a Collection Of Interacting Objects. 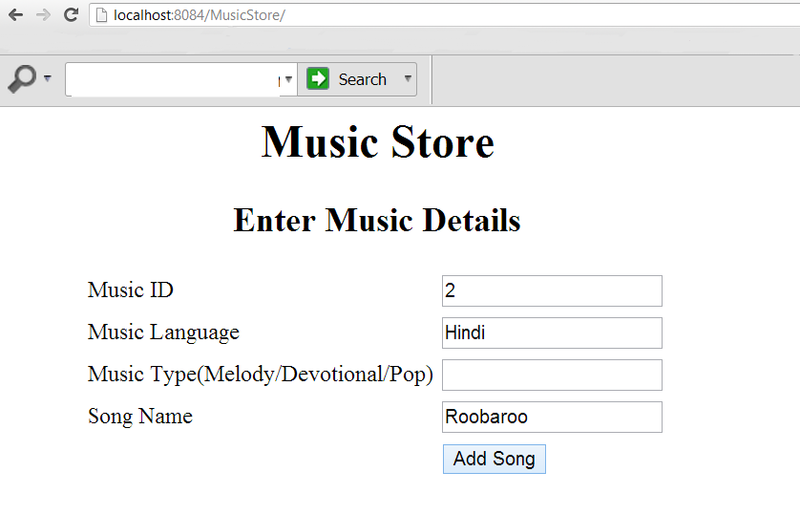 Relational Database Management System helps to store these entity objects into the Database objects(tables). Object Relational Mapping (ORM) relates objects from Object Oriented domain with relational Data model via mapping. Java Persistence API(JPA exists in JEE5 and higher ) is a specification which has the features that will make the ORM work.It deals with , how Java Objects(“persistent entites”)are stored in the relational database, how they can be accessed and how the object’s state can be stored so that it can be restored when the appication is restarted . 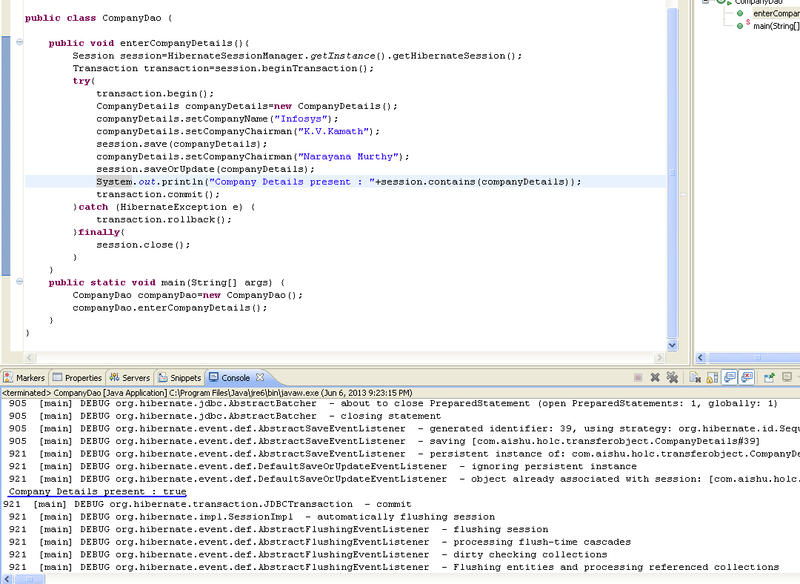 Hibernate 3.2,EJB 3 ,TopLink and etc., are frameworks that implement this JPA. In this post I have briefed on Hibernate’s Persistence Context Pattern and the Object’s LifeCycle. HIBERNATE is a Simple Persistence Framework . It is a flexible framework even.Flexible, because it can be used even with or without an application server. Hibernate provides functionality that persists objects of an object-oriented programming environment into some persistent store. These persisted objects are called Persistent Objects. The place where the persistent objects are created,modified and retrieved is called the Persistence Context. SessionFactory has the contract to create session instances for the application.Usually one data source has a single session factory instance. 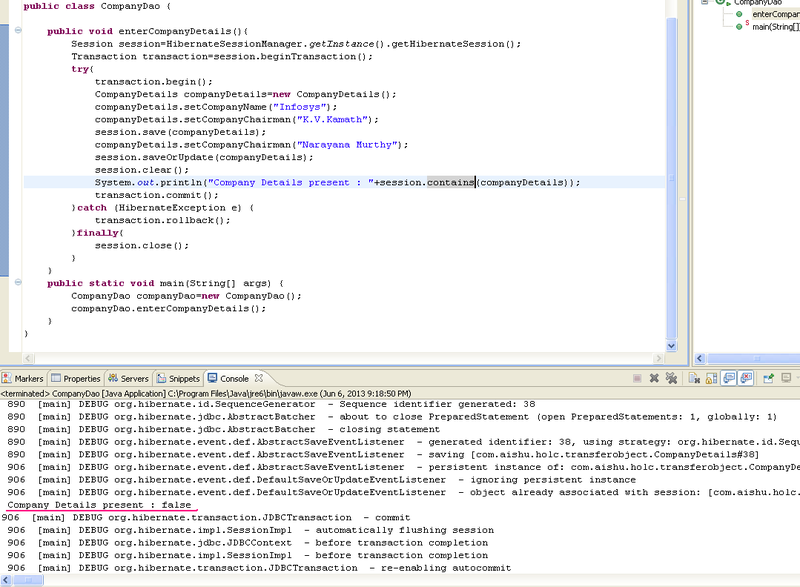 In an application, the threads servicing client requests, obtain Session Instances from this factory. Transaction defines the UNIT OF WORK for an application.It is instantiated when Session.beginTransaction() is called. Let’s get into examples to understand the Object’s life cycle with respect to Persistence Context.Here I have considered an example related to Company and its Chairman. Attributes: Company Name and Chairman..
Line 8 and 9 – the company name and chairman are set to the CompanyDetails object. Now this object’s instance which is a new one exists in the transient State. Line 10- the object’s instance is being saved, which means it is being persisted in the Persistence Context. Now it is in the persistent state. Line 11- a new employeeInstance is created. Line 12- attribute is set to the instance. The instance now exists in the transient state. 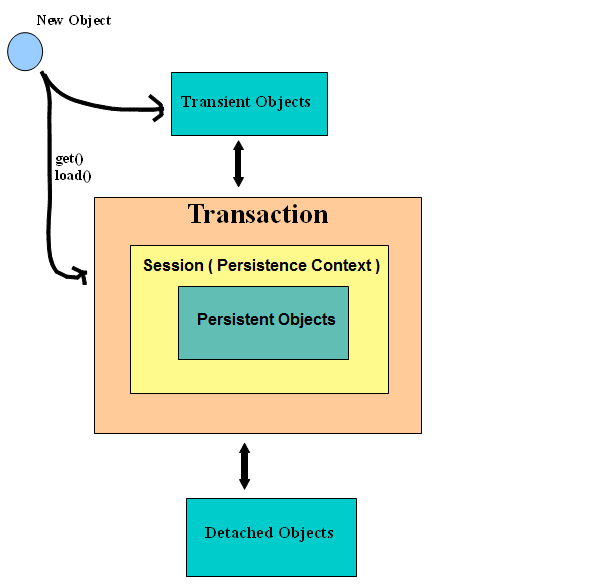 When the transaction is committed, only the objects in the Persistence Context gets persisted in the Database as a record.i.e.,Here the persistent object companyDetails gets persisted but employeeDetails does not get persisted because it is in transient state. Qn.When you Insert a data and update the same data in a session , will a new memory object be created in the Persistence Context or will it get Updated in the existing object in the Persistence Context…??? Ans: No, a new object is not created in Persistence Context while updating. Instead , the persistent object created when saving the object in the persistence context gets updated. Line 8,9 – the attributes are set to the object.The object’s instance is in the transient state. Line 10-The instance is saved. So , it moves to the Persistence Context and becomes a persistent object. Line 11- the instance is again set. Line 12- the instance is updated in the Persistence Context. I mean, already an object is created in the persistence context and that object gets modified/updated. 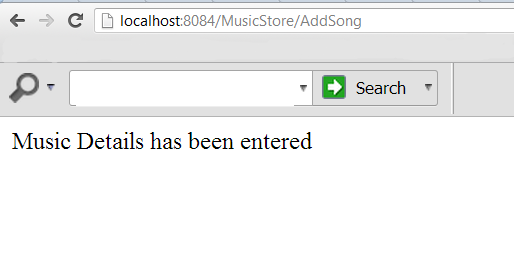 New object is not created in the persistence context. Line 13 – The persistent object is committed/persisted to the DB. Note:Update() can be performed only on Persistent Objects and not on transient/detached objects whereas saveOrUpdate() automatically converts a transient/detached object to persistent object. Line 8,9 -Instance is set.It exists in the transient state. Line 10 -Instance is saved to Persistence Context.It is in the persistent state now. Line 13- All instances in the Persistance context are cleared. It has no instance in the context now. This means , the instance is in detached state now. Like clear() there is also another method evict().The difference is ,evict() detaches a particular instance from the context but clear() detaches all the instances from the Persistence Context. Hope this post has added an extra feather to your understanding.